Amelia Aldred is a writer based in Chicago, Illinois. 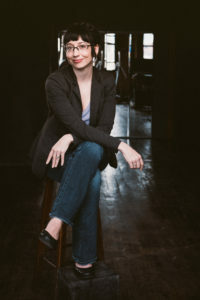 Amelia’s fiction and creative non-fiction have been published in Metaphorosis Magazine, Flash Fiction Online, Chicago Literati, Neutrons/Protons, Offbeat Home and the anthology Undeniably Indiana (Indiana University Press). In addition, she has authored articles on philanthropy and nonprofits. When Amelia isn’t writing you can find her rambling through parks and museums with her husband and their imaginary dog.